I shared this lunchbox in my Instagram stories (username@theorganisedhousewife) recently and many messaged me asking if I could put it on the blog so they can refer back to it. 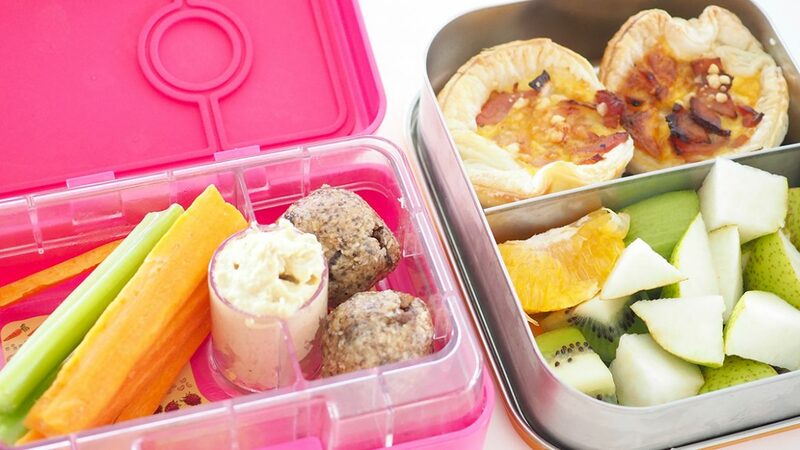 You may have seen the mini quiches in a few of my lunchbox idea posts in the past; I make up a batch of these during the school holidays and keep them in the freezer as a go-to lunch item for the kids lunchboxes. Allergy friendly recipes, no dairy no egg, no nut, etc. 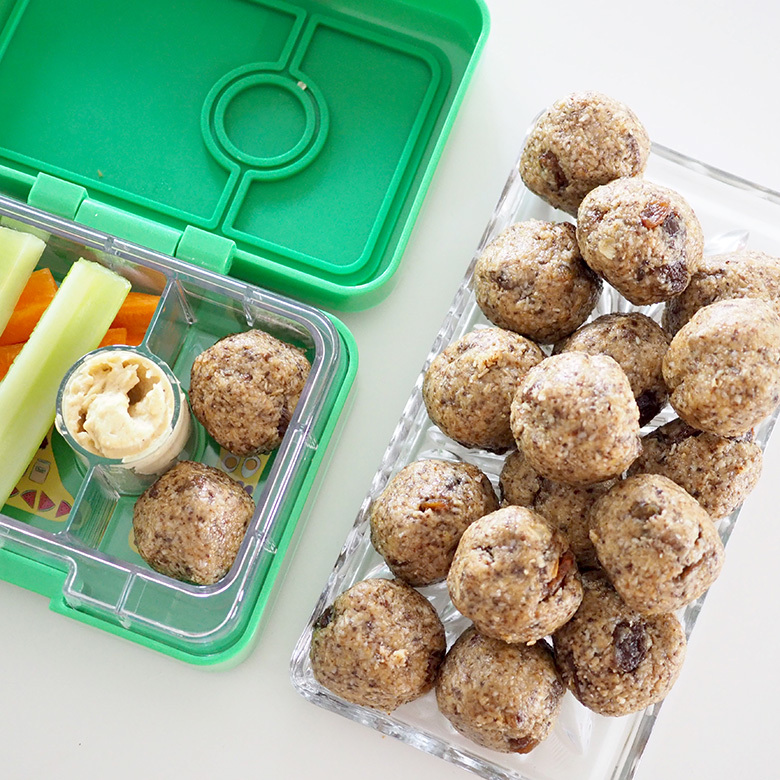 Carrot and Celery Sticks with Hummus and Energy Balls. ENERGY BALLS RECIPE: These energy balls are easy to make and really delicious. Also fabulous to have on hand for afternoon tea. If your school has food restrictions due to allergies, you may enjoy these Fruit Bliss Balls. View my Energy Balls recipe here. Lunchbox pictured above available online here. 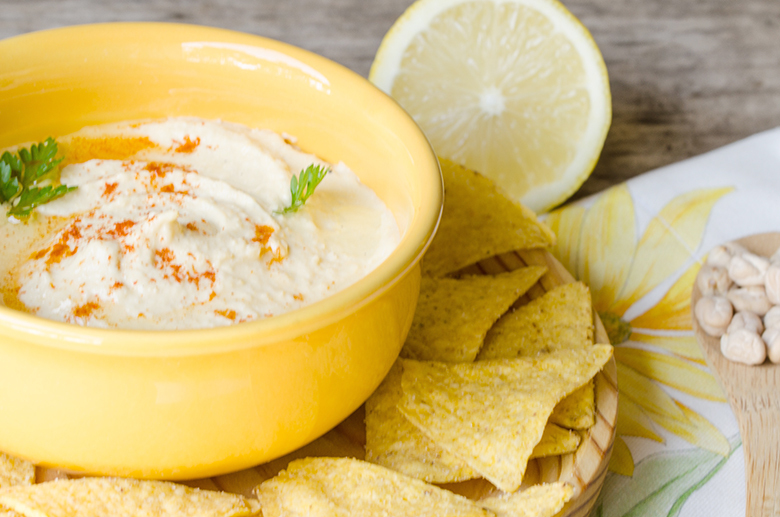 HOMEMADE HUMMUS RECIPE: I often make up batches of homemade hummus to keep in the fridge. In my humble opinion, homemade is so much better than store purchased, plus hummus is so quick and easy to make. View my homemade hummus recipe here. 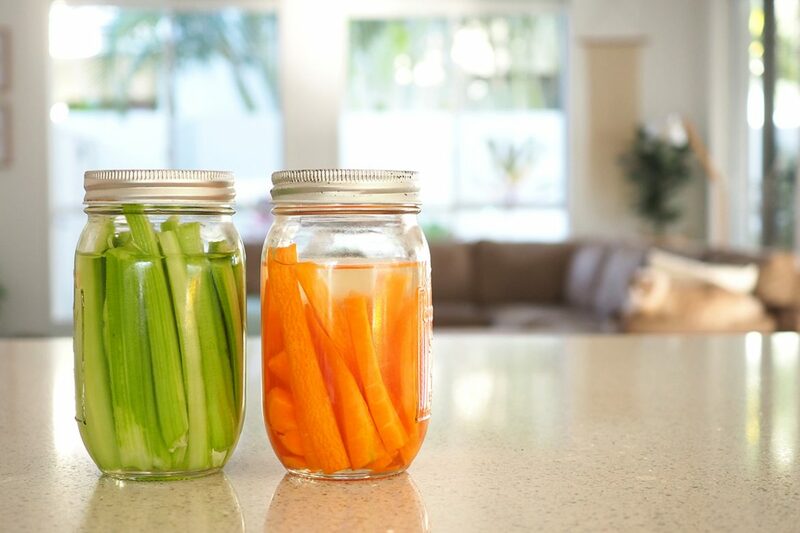 READ MORE: How I store vegetable sticks in the fridge. 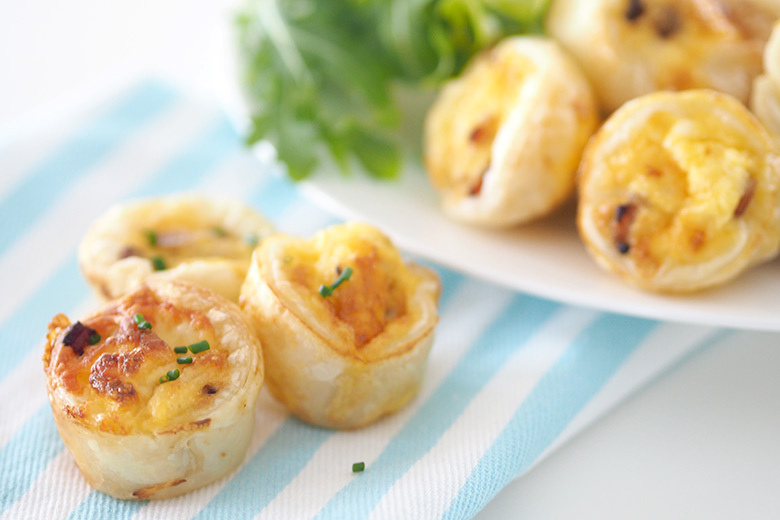 MINI QUICHE RECIPE: Mini Quiches are delightful snacks to have for parties, morning tea or food to put in kids lunchboxes. Find cheese and bacon mini quiches recipe here. 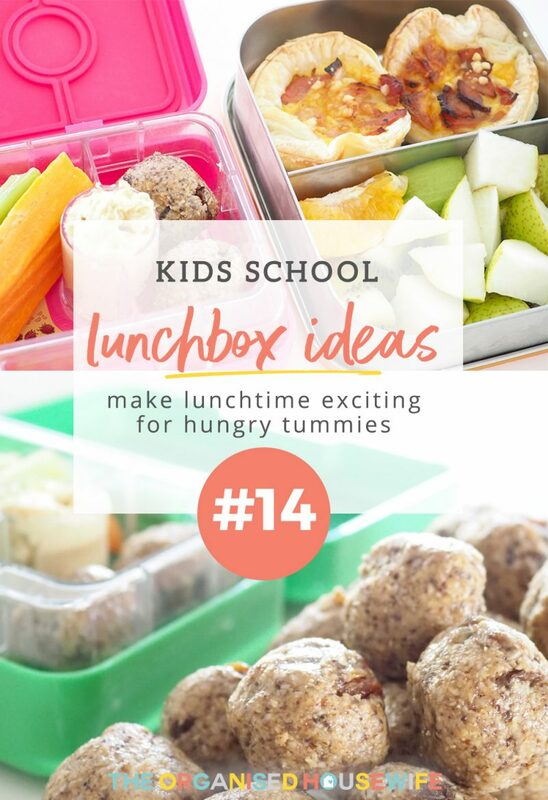 WHAT WILL YOU MAKE FOR YOUR KID’S LUNCH TODAY?